Oh My. . .How Sweet! Luke 2:25-33 “And, behold, there was a man in Jerusalem, whose name was Simeon; and the same man was just and devout, waiting for the consolation of Israel; and the Holy Ghost was upon him. And it was revealed unto him by the Holy Ghost that he should not see death, before he had seen the Lord’s Christ. And he came by the Spirit into the temple; and when the parents brought in the child Jesus, to do for him after the custom of the law. This passage of scripture is so fragrant with God’s outpouring of blessings upon mankind. Simeon, an old man and mere servant of God, devoted to Him in all his ways, went to the temple after the Holy Spirit beckoned to him. He was told that someday he would see the Christ, the Messiah, before he died. Was this the time? Can you imagine the heart of this devoted servant straining to keep up with the flow of excitement surging through his veins? The Holy Spirit called; he responded. He was the right man at the right place at the right time. He would be the one to reveal the prophecy that Jesus’ significance would extend even to the Gentiles. Also guided to the temple that very same hour were the parents of Jesus. Joseph and Mary were there to dedicate their firstborn son to the Lord. It was the customary law, along with offering a sacrifice of two turtledoves. 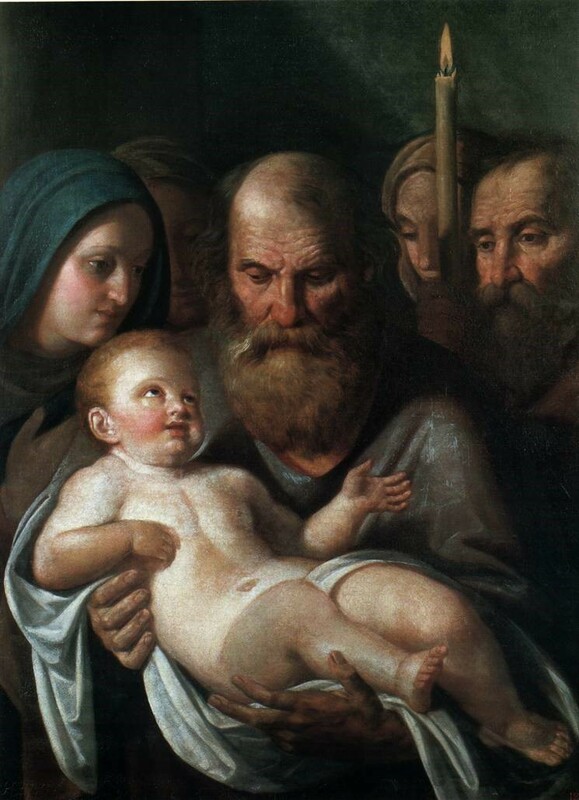 Simeon took the babe in his arms and blessed God! (This is the sweet part. . holding baby Jesus in his arms. ) I have held many babies in my arms, and it was a rich blessing to snuggle each one of them. But–the Son of God, the Messiah, the Prince of Peace? How the arms must have trembled, the knees must have weakened; the head must have grown faint. Oh My! No wonder Joseph and Mary marveled. Simeon was speaking about their firstborn son! One of the sweetest moments in history, folks. This entry was posted in Devotionals, Just a thought... and tagged baby Jesus, DEDICATION, Jeanne E Webster, salvation, SIMEON, sweet moment.